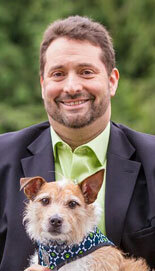 Dan Weedin is a business growth consultant based in the Seattle area. His innovative ideas and strategies help business owners grow, develop, and protect their business and people. He is a commercially published author whose latest book is title Unleashed Leadership. Dan’s work has been featured in leading business journals, like US News & World Report and Fast Company. In this podcast, Dan talks about why mindset is so critical for small businesses to succeed and grow. He shares tips on how to sustain business growth, and he tells us businesses should expect to have 3 crises per year and learn how to plan for them. This entry was posted on February 11, 2017 at 12:18 am and is filed under Marketing Thought Leadership Podcast, Podcasts. You can follow any responses to this entry through the RSS 2.0 feed. You can leave a response, or trackback from your own site.